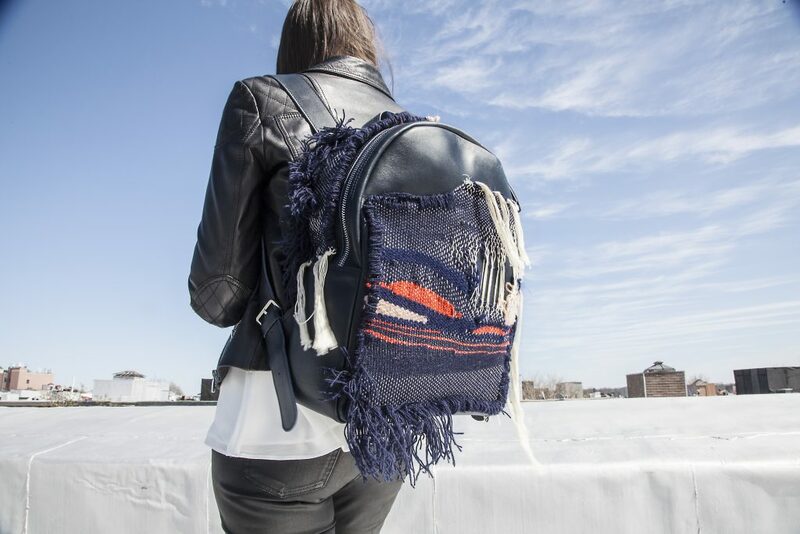 Ioli Tzouka, born and raised in Greece, is a designer living in New York City. She studied at Parsons School of Fashion where she focused on ethical fashion and traditional weaving. Her project, Awomen, was created in collaboration with Awomen’s weaving workshop in a small community in northern Greece. She is now an accessories designer for STATE Bags, where she is also spearheading the sustainability department. Tell me more about Awomen. What inspired you to start this project? There were many things that came into my life before I decided to start this project. I was born and raised in a small, tight community with a fascinating folk history. I was raised by strong women, not always independent, but always mighty in many small ways. I learned to weave a few years after I moved to New York to study at Parsons. The Greek financial crisis and the decline of folk art slowed down the creation and production of traditional products handmade by women. So I decided that it was time for me to do something. Awomen’s design style is a mix of traditional and modern, a mix of younger and older generations. A lot of color and rich textures. Made from Greek wool and woven on old looms. Photo: Ioli’s “Awomen” bags bring traditional craft to the modern woman. That the greatest results come from working on a team and not by yourself. 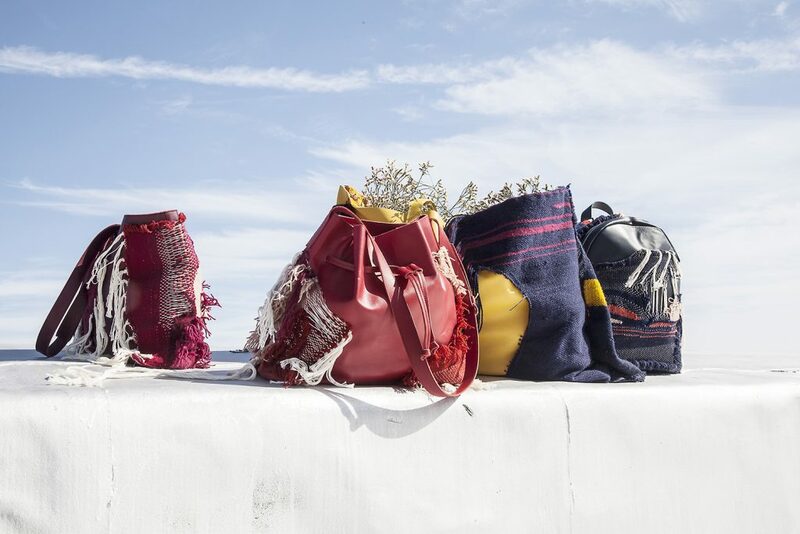 For these bags, I worked with an amazing workshop in a beautiful town called Thessaloniki. What was your research for Awomen? I interviewed a lot of people to hear stories of the past and the present. I learned about their views on traditional crafts: the problems, hardships. What they love about it. I wanted to learn from everyone’s perspective, so I talked a lot with grown women, men, and young adults around my age as well. Then, my research focused on archival photos and my own photos of favorite places in my region. These photos tell the stories of people who lived before me and created amazing works of art on the looms. Who would you love to see in Awomen? Any and every human. Whoever appreciates Awomen’s mission. Whoever sees that craftsmanship is an essential part of a culture. That it forms a community and inspires the preservation of craft. 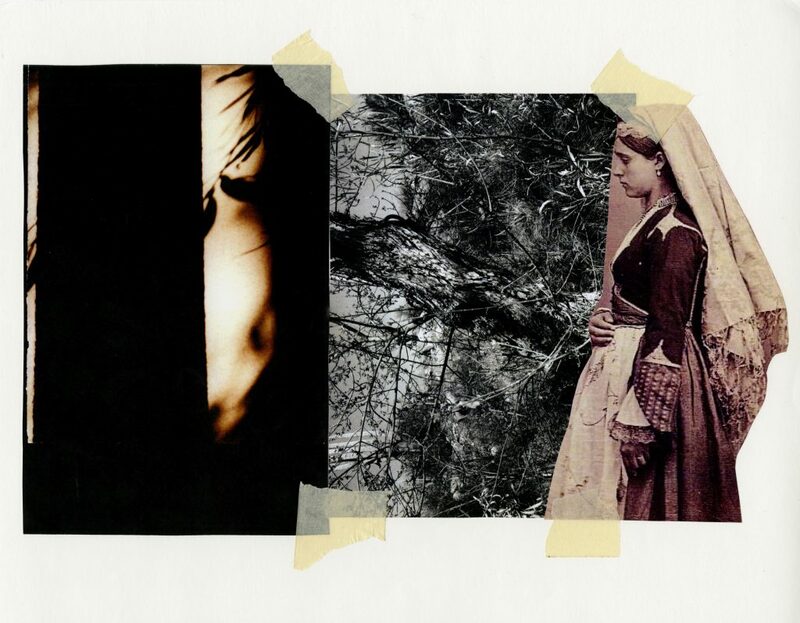 Photo: Excerpt from Ioli’s thesis, concept boards that guided her design vision. When I realized we buy more than we need. We throw out more than we can handle. The generations before us were already living lifestyles that were zero-waste, second-hand, organic and ethical. They understood the scarcity of resources. They were already recycling. Why are we not? My journey is defined by my roots and the experiences I had through Remake. When I was in Sri Lanka, I realized how detached we are from our clothes and the people who make them. It is very hard, if possible at all, for us as consumers of fast fashion to relate to the women that make our clothes. Then I realized how, simply, bad design has created these problems. So I started thinking about how good design can solve these problems. I am now working as an accessories designer for STATE Bags, and spearheading the sustainability department. STATE is a backpack company with a give back model. We have already given thousands of backpacks full of school supplies to schools and kids around the country. It has a great, strong mission, and now it is heading towards ethical and sustainable manufacturing as well! Photo: Emily and Meg Luciano model STATE bags, the give back packs where Ioli leads in sustainability. How did you end up spearheading the sustainability department at STATE? As a designer, after learning about all the problems inside the fashion industry, and especially after being part of Remake, I am sure to vocalize my thoughts on the urgent need for brands to have a triple bottom line. I’m glad that at STATE, my bosses want the same thing. We are all learning as we work towards these goals. I believe designers have power. We can take more responsibility in choosing the right materials for the earth and our future. We definitely need to ask the hard questions and demand equality throughout the supply chain! What is the difference between sustainability at school and at work? I think the biggest gap between school and work is having to convince people who sustainability is the only way to go. At school you are free to do it, if not expected, but at work you have to deal with an existing system that is not easy to change. Then you also realize the scale of your projects is way different from the scale of a large company. Therefore, a lot of goals are simply unattainable at this point. It is a fact that fashion, as we know it, is killing the planet. The exploitation of earth’s limited resources is creating a horrific future. The way the fashion cycle works now does not allow for big changes, so I think we need to redesign it completely. We must put people and the planet in the center of the cycle, and this cycle needs to be circular. 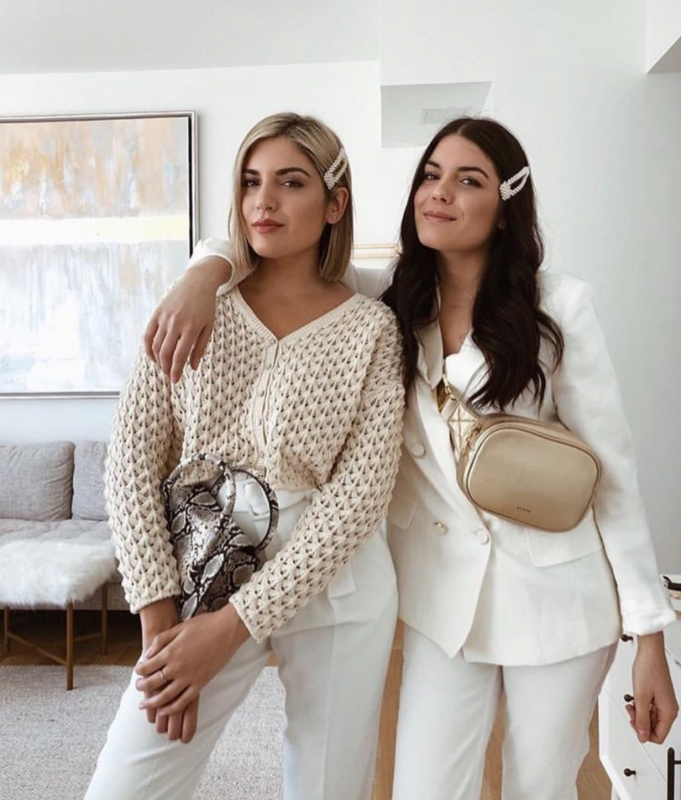 I am very happy to see more and more people are becoming interested in sustainable brands and learning about the disastrous effects of fast fashion. Photo: Campaign image from Ioli’s “Awomen” line. I believe as consumers, we can play a great part of fixing fast fashion. Because our choices truly matter. However, the industry leaders should own up to their part, something that will probably not happen soon. We should face fashion with pessimism but act with optimism on our part! I like to use this analogy: If a t-shirt costs $15 instead of $5, perhaps I will buy one instead of 3, which will be of no great importance to me really, but the lives of makers down the line will be far easier. Produce less and better, sell less and better, and start planning way into the future beyond the next season. I hope brands begin to reduce their waste. It will also be great if they stop indulging in this vicious circle of offering new products every week. I am pretty sure we can all survive without it. Every brand that is striving for a better future. I look up to people who make up these brands. Of course, the leaders in sustainable fashion like Patagonia, Eileen Fisher and Reformation are a source of daily inspiration to me. And STATE Bags, which is now doing double good. Start now, don’t take no for an answer. Find alternative paths to your goal when needed, and be patient. Technology is still catching up to our shared vision. Many different things—I find it hard to focus on only one path. The world is so big, so much to see and do! I love reading books and am fighting to have a longer attention span! Also, learning foreign languages and being obnoxiously curious about different ways of seeing the world through different cultures. I don’t like to shop for new stuff. I prefer to buy second-hand. But when I need to, I try to find the sweet spot between ethical and affordable—it’s not easy! I also always choose brands that do double good, like Toms and Warby Parker. I buy from designers and brands that are transparent with their creations like Birdsong or Everlane. When I am in Greece, I love to buy things that are both ethical and local in style. I wear my values by not buying new stuff, unless absolutely necessary. Every time I wear clothes, I look at the labels and see where they were made. It is still very hard for people to know who made their clothes. I’ve been wearing my values ever since I met all the girls in Sri Lanka, girls like me, and I promised them I’d help their stories be heard. You can Follow Awomen on Instagram.